Make sure you aren’t left sweating this summer. Read More. Installing new cooling systems and repairing all manufacturers’ makes and models of air conditioners and other cooling equipment. Check the hottest — and coolest — HVAC deals. Denver HVAC Contractor – Pasterkamp Heating and Air Conditioning since 1959, Furnace Repair, Furnace Installation, AC Repair Services, or getting your furnace replaced. Pasterkamp Heating and Air Conditioning, a Denver HVAC contractor, has been providing heating, air conditioning, Denver furnace repair and indoor air quality needs of residential and commercial customers since 1959. 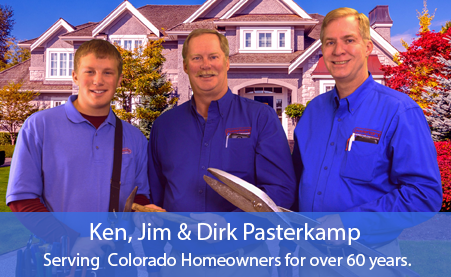 Pasterkamp is proud to have earned the trust and respect of thousands of homeowners in Denver who have turned to us when installing new air conditioning and heating systems. We strengthen this trust with our customers through the fact that we’re a BBB accredited business, employ NATE certified technicians, and carry an EPA certification. Our uniformed employees remind them of these things every time we perform a replacement or furnace repair in Denver so that you can have the peace of mind you deserve. When it comes to comfort and energy efficiency – for all your heating and air conditioning repair needs – Pasterkamp can handle that!